Our Easter Gift Card Sale is Happening Now! Get a $60 Gift Card for $50, or a $120 Gift Card for $100! https://sablecreekgolf.com/wp-content/uploads/2019/04/Copy-of-Happy-Easter-Sale.png 312 820 Teesnap Developer https://sablecreekgolf.com/wp-content/uploads/2017/11/logo-2.png Teesnap Developer2019-04-14 19:35:252019-04-14 19:35:25Don't Forget About Our Easter Gift Card Sale! 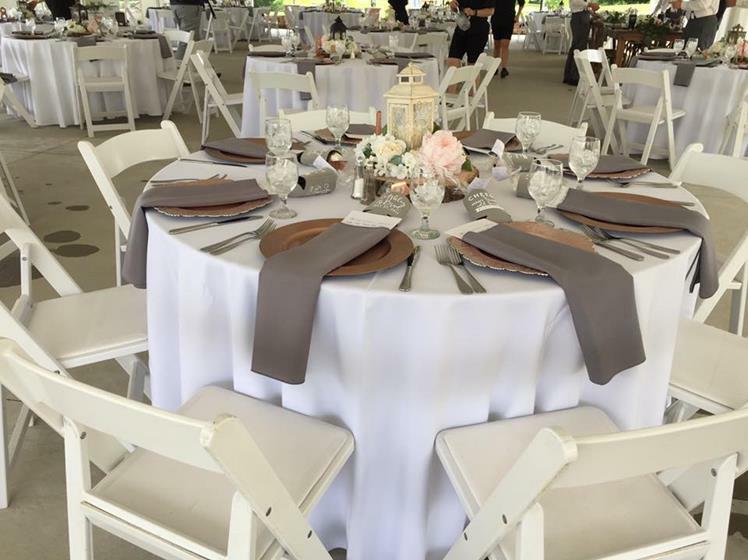 We know you want your wedding day or your special event to be perfect, and that’s exactly what our event venue provides! Prepare yourself for an unparalleled experience at SABLE CREEK GOLF COURSE. 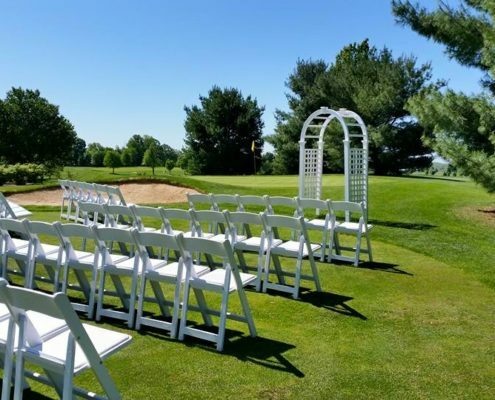 Picturesque setting for your ceremony with panoramic views of the golf course. Dance the night away under the stars. Up to 300 guest seating. 28th hole patio for your ice cold refreshments. Pavilion for outings and parties that seats up to 120 guests. Call us today at (330) 877-9606 for more information! https://sablecreekgolf.com/wp-content/uploads/2016/01/Sable-Creek3.jpg 720 960 Teesnap Developer https://sablecreekgolf.com/wp-content/uploads/2017/11/logo-2.png Teesnap Developer2019-03-29 17:07:322019-03-29 17:07:32Want to Learn More About Our Wedding and Event Venue? We are officially open, and we can’t wait to see you! https://sablecreekgolf.com/wp-content/uploads/2019/03/Tee-It-Up15-9900000000079e3c-1.png 307 600 Teesnap Developer https://sablecreekgolf.com/wp-content/uploads/2017/11/logo-2.png Teesnap Developer2019-03-13 11:58:532019-03-13 11:58:53We're Officially Open! Book Your Tee Time Online Here! – Your Friends at Sable Creek Golf Course! Here are a few links to help you explore all that Sable Creek has to offer! February Membership Special: Only DAYS Left to Take Advantage! We’re Feeling the Love! From now to the end of February, get a FREE driving range pass with your new membership purchase!! Originally started in 1994, this is a family owned and operated golf course. 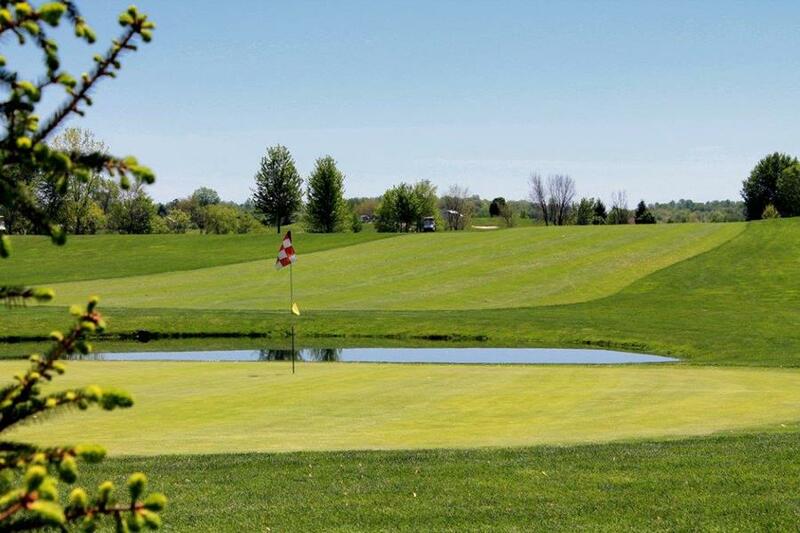 Gently rolling hills and well-manicured grounds make Sable Creek Golf Course a pleasure to play. Sable Creek is appealing to golfers of all skill levels with its wide variety of holes (27) and 4 sets of tees. See why so many love being a member with us, and take advantage of our limited time offer of a FREE Annual Driving Range Pass with your new membership! Speaking of Love, Have You Said Yes?? Reach out now to book your wedding in our one of a kind venue! https://sablecreekgolf.com/wp-content/uploads/2017/10/gold2.jpg 1200 1600 Teesnap Developer https://sablecreekgolf.com/wp-content/uploads/2017/11/logo-2.png Teesnap Developer2019-02-26 14:07:422019-02-26 14:07:42Only A Few Days Left! February Membership Special: Free Driving Range Pass With Membership! From now to the end of February, get a FREE driving range pass with the purchase of a new membership! Happy New Year to you and yours from Sable Creek! We’re already busy planning to make next year even better than this year. We look forward to seeing each of you in the New Year! https://sablecreekgolf.com/wp-content/uploads/2018/12/alcohol-alcoholic-beverage-261485.jpg 2560 3840 Teesnap Developer https://sablecreekgolf.com/wp-content/uploads/2017/11/logo-2.png Teesnap Developer2019-01-01 12:01:242018-12-31 14:14:05Happy New Year! Last Chance for Christmas Deals! https://sablecreekgolf.com/wp-content/uploads/2018/12/pexels-photo-749354.jpeg 1280 1920 Teesnap Developer https://sablecreekgolf.com/wp-content/uploads/2017/11/logo-2.png Teesnap Developer2018-12-24 17:04:342018-12-24 17:04:34Last Chance for Christmas Sale Prices! Need the perfect last minute gift for your favorite golfer? $60 gift cards for $50, $120 gift card for $100, and 4 round passes for $99 are available now in our online store. All perfect options for easy, last minute gifts! https://sablecreekgolf.com/wp-content/uploads/2018/12/ball-baubles-card-1667587.jpg 3346 5000 Teesnap Developer https://sablecreekgolf.com/wp-content/uploads/2017/11/logo-2.png Teesnap Developer2018-12-21 19:51:312018-12-21 19:51:31Need a Last Minute Gift Idea?